This is a list of new lifts likely to be built in North America during the 2019 construction season. Last updated 4/6/2019. The gondola can’t be completed until the South Peak beginner complex is finished since it connects to it. That could be a 2019 project. Loon really needs more beginner terrain and parking. Do you know if the current lift will be removed, or still run next season? There’s no way that they can remove Cold Springs this year. That and Mayday are the only two ways to get from the backside to the rest of the mountain. I don’t get that one. They’d be much better off replacing Powderhorn with a HSQ and then moving it over to Sunrise if they want more capacity over there. Powderhorn is painfully slow. I think that it’s them getting ready for One Wasatch. Target market at Soli is families. Sunrise has some great cruisers, but it doesn’t make sense to spend much time over there because that lift is painfully slow too. Especially now that a Honeycomb lap no longer requires a Powderhorn trip, it can hold on a while longer. That’s fair. Hopefully new Sunrise will spread out the weekend/holiday crowds a bit. No one on that lift since the new Summit lift was put in with direct access from Apex. The general manager. They are still waiting for approval. Thanks. I don’t see it on the Forest Service SOPA site yet. It would be great if Loveland installed another high speed detachable quad to replace the rest of lift 2 and extend it to the top of Ptarmagin. Ptarmagin could then be relocated to replace 6. The just built Ptarmigan in 2015, so they are not going to relocate that lift any time soon. I always thought that it would be cool if they replaced 6 with a high speed that has a line angled a little more to lookers right, ending up near Porcupine Saddle. It would open up much more of the bowl, and there would be an easy way to get to the current top of 6. I’m not sure how well the changes are going to go. LA skiers have never seen a loading carpet, and they had to get rid of 90º loading on 15. Additionally, moving the terminal to the north is going to cause a lot of crowding at the unload. Not sure I agree on the latter claim. By eye-balling, it appears they want to move the terminal to just before the intersection with Spook. Lower level skiers/riders would still have easy, direct access to Easy Rider if they are headed to parts East. IF they want to go back to towards Canyon, then they are simply 150 ft further than before along the same trails. What this does is space out the summit terminals of 16 and 4 somewhat to help reduce crowding in that direct area. It may also encourage people to take Solitude down to the base of 5 vs.fighting the crowd on Easy Rider. Certainly the increased capacity will increase crowding, but I don’t see the terminal locations as feeding into that. No, they’re moving the terminal north, not uphill. The new terminal would be around halfway between the top of 4 and the old top terminal. Ah. Of course. My bad. Yeah – have to agree with your take here Thomas. Not sure how this well help anything in that area. Watch for a used BM lifts quad recently removed this summer from Mount St Louis Moonstone in Ontario. Not sure if they are selling, but it would have fairly low hours as it ran parallel to two Poma HSS for the last 15 years. It was maybe used for 10 days a season since then. It would be a great buy for a small hill. That lift would be venture, right? I’m thinking that chicopee could use the venture quad for their sugar bowl area, which hasn’t had a lift since 2012 or 13. Do you think that Park City may relocate the old High Meadow lift to go to Woodward Park City? It was still in the Cabriolet parking lot as of a few weeks ago. Woodward Park City is a Powdr project so it would be a sale. Vail could send it to Afton Alps or Jackson Gore at Okemo. Outside of Vail, Crystal Mountain has wanted to build a longer and higher capacity Discovery. Okemo is an all Poma mountain so it’s not going there being a CTEC. An all Poma mountain except for the Doppelmayr. The Doppelmayr rarely runs and is possibly the next lift they’ll replace. Is there a possibility that the green ridge triple will be replaced with a bubble lift? The bubbles wouldn’t get scratched if he put them inside at night like you’re supposed to. Mount Snow still parks them inside every night and they remain in immaculate condition. And most of that “vandalism” is people trying to knock ice off with their ski poles that accumulated on the bubbles overnight. I’ll give you 50% for that reasoning. According to their website, Horseshoe will go ahead with the quad to replace chair 6. The new Chair 6 at Horseshoe in 2019 will be built by Leitner Poma. Horseshoe resort had a single Leitner Poma Quad chair in their r booth at the Toronto Ski Show this weekend (Nov 27-28) and The Horseshoe manager in the ski show booth told me that the contract has already been signed with Leitner Poma \Canada for the new install. Thanks Andy. Leitner-Poma is sure off to a strong start for 2019. What other installs could happen in ontario for 2019/2020? Peter, Could you add a column to the spreadsheet with a date indicating when announced or added to list? Brian Head ski resort is planning a lift removal and replacement for Navajo lift in 2019. Interesting. Have a source on that? I don’t see it on the Dixie National Forest SOPA yet. If they were to go remove the navajo lift, what would they replace it with? Wait, They’re building a pulse chondola? Has that ever been done before? Informed speculation on what I believe Vail will announce in December for lift upgrades next summer. I’m not sure if Breckenridge or Keystone will be getting anything. I also think Sunrise will end up being a gondola if it is to function primarily as an access lift. I also expect to see Stowe on the list. They became Epic around the same time as WB, and the Fourrunner Quad gets slammed. I think replacing the nearby Lookout Double with another high speed quad would be the best solution. Your comment on Stowe makes a lot of sense to me. I have never skied there but was always curious why they did not replace Fourrunner with a Six Pack as it felt like that trail pod could handle 3600 PPH. I wonder if Lookout or Mountain upgrade is more likely. Looking at the trail map I was thinking the latter. The previous owners thought that the capacity of a 6 pack would “ruin” the feel of the terrain. I think that a 30 minute line out of the ropes “ruins” the experience more. Mountain is getting a new haulrope so it’s not going anywhere. Lookout serves more terrain so replacing that would take more people off of Fourrunner. A similar upgrade was done at Northstar where instead of replacing the Backside Express, another high speed quad was installed on a nearby alignment called the Promised Land Express. What will also be interesting is if Vail slaps the “express” designation on Stowe’s lifts like they did at Park City. I could see Lift C being up for replacement in the next year or so. That lift is nearly 50 years old. Putting a high speed quad on it would certainly be beneficial in that it would take some traffic off of the Mercury SuperChair and Beaver Run SuperChair, plus maybe allow the resort to cut some more trails off of Lower Volunteer. Suspect we’ll see Forerunner converted to a HSS, with the current machine moving over to become the new Lookout. Downside is that this increases uphill capacity in relatively small area by 67%. Will likely make Lord and Sunrise an utter junk show as the only non-expert ways out of that area. Forgot about Toll Road, but the point still stands. I doubt Fourrunner is going anywhere. It’s still basically brand new and replacing it with a HS6 would make replacing Lookout unnecessary. Installing a new high speed quad on Lookout would be cheaper and just as effective. It would also cause less trail crowding issues because people wanting to ski the trails below it would take Lookout and then not crowd Lord and Sunrise. It’s also easier to get to Lookout than Fourrunner if coming off of Toll House. At Breck I’d rather see 6 or E get and upgrade. Both serve much more interesting terrain and everything that C serves is also served by two HSQs already. (Beaver Run and Mercury). 6 serves some of the best stuff in the mountain but is painfully slow and can get very backed up. E has the same thing going, but that everything it serves can’t be accessed by anywhere else without hiking a little ways from the top of Mercury. If Pioneer and Le Soleil are replaced, they will be 6 packs with a capacity of at least 3000/hr. Both serve auxiliary trail sections, but are the only lift serving a large amount of acreage. The Sunshine 2 lift will also be something to look for at Steamboat. Doubt Le Soleil will be a HSS . It may be a lot of terrain, but only really the runs are skiable. The natural fall lines are already runs, and the southern exposure really limits snow accumulation so what is there off-piste is often very rocky. The point is there is a lot of trail acreage over there and only one lift. There wouldn’t be any issue with a capacity of 3000/hr over there. When replacing a lift, it also looks better when moving up in chair size. Tremblant is Canada’s 2nd most visited resort (behind Whistler Blackcomb) and they are long overdue to have high speed 6 packs. The other lift that Tremblant will need to replace at some point is Duncan which is a 1991 high speed quad that often has long lines. The replacement of Lowell Thomas will help with that somewhat, but I expect its eventual replacement to have a capacity of 3600/hr or more. I don’t think Sunrise 2 is something to look for in the near term. In their latest MDP update, Bashor gondola/learning area and Pioneer Ridge. Strangely, Sunrise wasn’t even mentioned/included in the January 2018 EIS, so that seems to be on a delayed timetable. The change in plans on on Elkhead from a HSS to HSQ would tend to support that interpretation – less of a need to bring everyone back north to Thunderhead. What are they going to be doing at Utah Olympic Park? Good question. They have Deer Valley’s Homestake quad sitting in a parking lot. Anyone know the plan for it? They are planning to use the lift for the to expand to ridgeline above the Luge/Bobsled venues. The plans call for trails of varying terrain to be used for training. ie moguls trail, slalom, freestyle plus others. They hope start possibly 2020 or 2021 all based on funding. 3CLF & 4CLD at yellowstone next summer? what could those two lifts be if built? Not definite but they may do the next phase of the Eglise expansion. The trails are already cut. Any information or sources for the Sunday River t-bar? Gould Academy has secured funding. I’m not sure about the length of the T, because I’ve heard both “the length of Monday Mourning” (~3000 ft) and 1490 ft (from the bottom of Monday Mourning up to the Over Easy crossover). Just a rumor, but I heard Mount St Louis, ON is looking at an 8-CLD to replace Venture removed this summer. 1989 Poma 4-CLD Louis Express would potentially be replaced with 6-CLD Promenade Express. A new lift of some kind makes sense with the new Venture peak which requires a short uphill hike from the top of Adventure. Do you know any other lift projects in ontario that could happen this summer? Also, I wonder where Val Neigette’s quad went to. Last thing i heard about it was that it was being sold to an ontario ski hill. Whiteface new detachable quad? or not for longer? No, just the Bear Den fixed quad which appeared on the state bid site. Bidding closed back in November. When/how did you find out that the new lifts at Stevens were going to be Doppelmayr? Likely but not completely confirmed both Stevens lifts will be Doppelmayr. Tamarack is also likely Doppelmayr along with Sunday River. Anyone know about Mont Gleason or Crested Butte? Leitner-Poma submitted the low bid for Lake Placid but not by much. Unclear if that project will actually happen. Sure hope they change their color scheme if they go with Doppelmayr. I’m not too interested in more brown and orange UNI-Gs. Not to likely any new lifts for mammoth this year, but maybe the Hot Wheels CTEC triple at Alpine Meadows will be replaced with a Doppelmayr detachable. Thanks for chiming in Kirk. I am hoping for a big Alterra announcement in March regarding Squaw, Alpine, Mammoth, Winter Park, Solitude, etc. I’d be shocked if Mammoth didn’t replace Canyon after the season that they’ve had. As for Squalpine, I’d imagine that Red Dog is a bigger priority than Hot Wheels at the moment. I’d expect a D-Line at Mammoth, and an LPA 6-pack at Squaw. 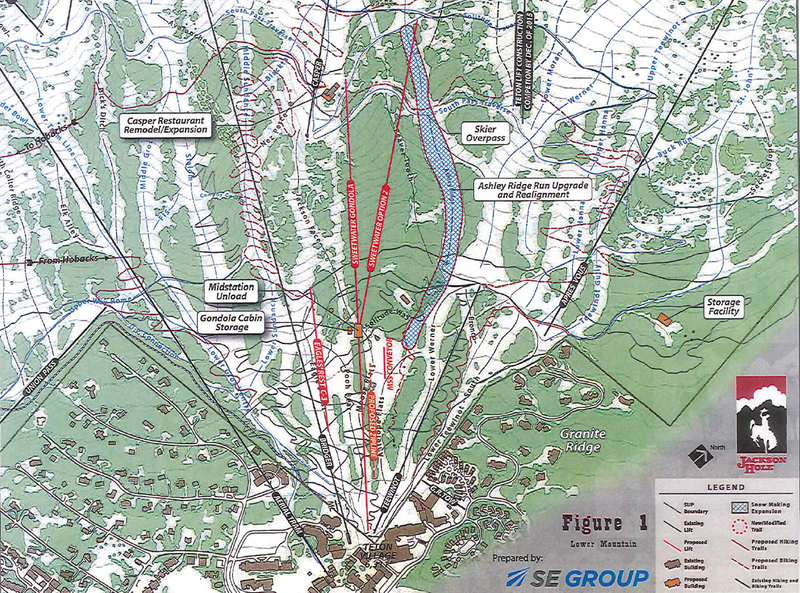 The Lake Placid Olympic Jumping Complex Gondola contract was awarded to Doppelmayr, the high bidder. According the the state, “This was a Best Value Bid. It was determined by ORDA that the Doppelmayr Bid gave us the best value for our application.” The gondola will cost $2,963,900 vs. the $2,918,900 Leitner-Poma bid. Lots of blue on the map now. Ski Cooper is adding a surface lift to their new backside expansion this summer. They have a trail map poster with the new expansion hanging on the wall in the lodge. Should have taken a picture. I think it’ll be a T Bar, 5 expert runs and says “coming 2019/20 season”. That’s so cool. I wonder if it will be new. Why did Sun Vally get moved to 2020? Sun Valley’s website moved the completion date for the project from Fall 2019 to Fall 2020. Peter – what was your source for the Hot Wheels upgrade this summer? The reason I ask is I heard it as well from the Squaw lift operations last week that a LPA HSQ was indeed ordered for Hot Wheels. Sounds like that was the only planned upgrade for this summer for Squaw/Alpine. I assume because they are still working on final routing for the Gondola and the associated impact on Red Dog upgrade. The new lift that’s going in at Montana Snowbowl…that sounds like it’s Snowmass’s old Burlingame lift. Betting Hot Wheels from Alpine will find a new home at Squaw replacing Belmont or Solitude. In my opinion, it should either go to another alterra resort or replace Alpine bowl in a new alignment that eliminates the need for the hike to the south side bowls. Solitude works just fine, and should be good for a while before needing replacement. Belmont is almost entirely serviced by mountain meadow and is short enough to be replaced by a surface lift/carpet. Besides the obvious alpine bowl replacement, almost all of the chairs at Squaw/Alpine work just fine, and some other alterra resorts would love to have a 1998 CTEC triple. I guess we will have to wait and see what they do. Still guessing Squaw. I hope they do something with old Hot Wheels given its young age but have not heard anything. I believe that the new indoor ski /lift at the American Dream mall in New Jersey is supposed to open in the next few months (they were originally saying March 2019 but now are saying “Spring”). Only seen mockups as of now, but it’s supposed to have a chairlift. There are two lifts- a Doppelmayr CTEC quad and Doppelmayr platter. Both were installed in 2008 when the project was known as Meadowlands Xanadu. I bet they are still in great shape being inside all these years. The hours must be next to nothing! In the renderings I have seen, I have seen both a six-pack (looked detachable) and a double or triple. However, the artists probably do not have a good knowledge of chairlifts. Peter I noticed a sneaky addition to the spreadsheet… Any additional details on the new Eagle’s Rest at Jackson Hole? This was the alignment approved in 2015 along with Sweetwater. Since Eagle’s Rest is listed as Skytrac on the manufacturer column, this means that Jackson Hole will be a (the only?) 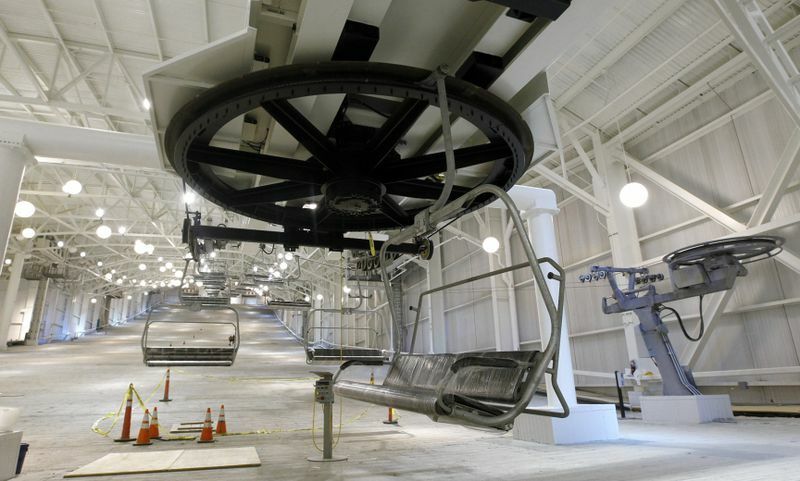 resort that has had every major lift manufacturer perform an installation. How do resorts decide between the classic leinter poma alpha vs skytrac? I think it’s a bidding thing. I mean, that’s why you some resorts bounce back and forth between Leitner-Poma and Doppelmayr (which is the reason two of Vail’s high speed six packs are Doppelmayrs and the third is Leitner-Poma, to give an example). It’s a bidding thing, as well as a parts thing. Some resorts keep going back to the same manufacturers year after year so that way spare parts, as well as lift mechanic training can be more standardized. If your resort operates lots of Garaventa/CTEC lifts, then a Skytrac makes more sense than a L-P Alpha. I’m not totally sure on this, but I’ve gotten the impression that the Skytrac Monarch can be more cost effective than the Alpha. Is this the triple that is going to Magic in Vermont? The Alpine Update that Jeff does on their website hasn’t even mentioned a chairlift for beginners? It would seem strange to add one where the current carpet is since it occupies the old base terminal for the double that was there. Even after the new Black Quad lift is installed which is to be a little closer to the base lodge it doesn’t much room for it to be installed. No ACT 250 applications have been submitted for it. Just curious on the source of information about it. There are two Magic Mountains, one in Idaho and one in Vermont. Both planning to install used chairlifts this year. My bad Peter. Too many Magic Mountain, lol. The Monarch Drive terminal is less costly then the Alpha, price does influence decisions. Skytrac has addressed compatibility issues with resorts with lots of Poma equipment as they now offer their lifts using LPOA 450mm sheaves. In addition to these points LPOA is now actively selling Skytrac lifts in addition to their own Alpha FG. Since it has not been formally announced I can only say that there is a lift on the current list that is not a Alpha but was sold by LPoA. Hmmmm the options are Copper, Crested Butte, Horseshoe, Killington, Revelstoke, or Sasquatch. I’m hoping it’s another Canadian Skytrac. What’s going on at Big Sky? I can’t seem to find anything about the two chairlifts. There are two potential access lifts as part of new real estate projects by Lone Mountain Land Company. The first is at Spanish Peaks, servicing The Highlands neighborhood. This lift line was cleared last year. The other would be in Moonlight Basin servicing the Lakeview Development not far from the new Stagecoach lift. Stevens Pass has little signs up announcing the new lifts. Still no official details on the manufacturer yet, but at this point it’s probably safe to assume they’ll go with a Doppelmayr, seeing that they’ve got a company history going back as far as Thiokol, and a similar Doppelmayr Detach to the proposed Brooks Express. Bit of a bummer though, I would have loved to see some LPA in Washington. I’m frankly a bit surprised they didn’t go right for some of the lifts with heavier loads like Hogsback or Skyline, but the fact they’re replacing Brooks this year hints towards that Grace Lakes expansion mentioned in their MDP proposed pre-Vail. I know they also have the forest service approval to replace Kehrs at some point, something they had set up pre-Vail as well. If I had to guess they’ll probably go with a Kehr’s triple (as was approved by the forest service) as well as relocating the base of Kehr’s, seeing that it’s current location is far from convenient to access. They’ll probably then set their priorities to replacing Hogsback and Skyline, with a 6-CLD being likely for both. Skyline gets really windy and cold, but seeing that Rob Katz isn’t a big fan of bubbles I don’t think we’ll see any solution to that anytime soon. Beyond the main lifts, I wouldn’t be surprised if we saw a replacement of that old rope tow they’ve got at the base with a magic carpet, and if they choose not to relocate the base of Kehr’s as I imagined they may, they might stick in another carpet. That said they’re going to need to increase their parking capacity too, seeing that oftentimes on Powder days those lots fill up and they end up sending a lot of people home, and I don’t currently see a lot of places where they could do something like that. They did mention a lot of renovations coming to their lodges and on-mountain facilities, which could mean that they’ll add in an underground parking garage somewhere, which’d be a great improvement. Additionally, they could alleviate a lot of pressure at the base area (and all of the lifts nearby) by adding some sort of lodge on the mountain. Again though, difficult to say where, seeing that the mountain doesn’t have a lot of space working in its favor, which is a big problem. I do fear that Vail may be investing too much and expecting too much out of a mountain this small, which was a problem just under its original owners. Stevens Pass is a pretty small resort that receives the crowds of something a bit larger, and I can’t imagine a lot of Vail expansions and big investments are going to help that much. I suppose it’ll be interesting to see where they end up going with this. I think winter park needs to replace Olympia express with a high speed 6 because on some days the line can get really long and back up to the warming hut. Pioneer only gets crowded on holidays and isn’t that big of a problem. I think winter park should replace Prospector, Eskimo, and Olympia with high speed sixes that would help a lot, or maybe replace prospector with a high speed eight. Pioneer is slated to get replaced because of its age, not demand. In addition, there’s a second stage of The Gondola up to Lunch Rock that may take some of the load off of Olympia. I know that pioneer will be replaced I talked to the COO at Winter Park. If the gondola second stage happens everybody would ride up to lunch rock and they would be wasting money on lifts nobody will ride, and besides looking glass is getting replaced in a couple of years if Winter park gets forest service approval. Pioneer Express definitely needs the upgrade, as does Looking Glass, since they are getting into their elderly years. I could see the Mary Jane double chairlifts be up for replacement in the next ten to 15 years. At most, Looking Glass should only be upgraded to a triple chairlift. I doubt that the Prospector Express, Olympia Express or Eskimo Express lifts need six packs. And I’ve never seen the Prospector Express get enough of a line to warrant an eight pack, which would be overkill anyways. Well, the triple sunnyside will replace looking glass in a couple of years, but the resort will make a new trail that goes into town and the triple will end at the top of that. Prospector gets crowded when ski school is around and the line can be very long and slow cause it keeps stopping and slowing for ski school. At the very least, I’d say that the Eskimo Express and Prospector Express lifts should have their bars replaced by new ones that have footrests. And in the Prospector Express lift’s case, I’d probably replace the chairs and terminals with LPA terminals and chairs, and use the old Poma Arceaux chairs from Prospector to add more capacity to the Olympia Express lift (kinda like when Keystone added capacity to the Outback Express lift in 2014 by transferring over some chairs from the Peru Express and Montezuma Express lifts on Dercum Mountain). Yes I do. My source is Sky Foulkes the COO at Winter Park. I talked to him when he was at the top of the gondola.